If your body is craving something healthy and tasty, but there is no room for cooking in your overcrowded schedule, it is time to give meal delivery services a shot. Check out our Send A Meal VS Home Bistro comparison and find out which one to trust with taking care of your diet. Enjoy amazing meals, hassle-free! Send A Meal offers more tasty, chef-crafted frozen dishes that one could count, ranging from breakfasts to desserts, with many options for special diets. Its pricing is fair, it offers frequent discounts, and it allows you to shop subscription-free, with no minimum order limitations. 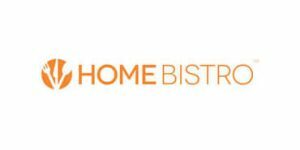 Home Bistro offers an impressive selection of restaurant-quality meals cooked by one of the best chefs in America, made of fresh, seasonal ingredients, and ready to eat in no more than 10 minutes. Send A Meal does not offer meal plans. Send A Meal menu features several hundred dishes at all times. Send A Meal offers breakfasts, lunches, dinners, soups, sides, appetizers, and desserts. The menu includes omnivore, carnivore, vegetarian, keto-friendly, diabetic-friendly, low-sodium, low-fat, gluten-free, dairy-free, kid-friendly, and senior-friendly items. Since Send A Meal cooperates with many different suppliers, food quality tends to vary across items. However, the quality is never low and most meals include premium ingredients, often organic and sustainably sourced. Send A Meal menu includes everything from healthy, well-balanced meals to guilty pleasures that add inches to your waistline. The service offers multiple low-calorie meals under 500 calories per serving, but some of its menu items contain as many as 900 calories per portion. In addition to calorie-conscious meals, you can purchase meals low in sodium, sugar, fat or carbs. Send A Meal does not offer subscriptions. Instead, it allows you to shop as often as you like, with no minimum orders. However, keep in mind that if you cancel your one-off order, there is a 15% administration fee. Send A Meal offers a 100% satisfaction guarantee. If you are not happy with your delivery, simply reach out to customer support and request a refund or replacement. With Home Bistro, you can choose from 4 categories, including Meal Combos, Chefs Choice, Individual Meals, and SUPERBowls. Home Bistro features more than 100 options on its menu. Whether you opt for Home Bistro’s individual meals or meal combos, you get to enjoy a vast range of restaurant-grade entrées, including Paleo-friendly, diabetic-friendly, heart-healthy, vegetarian, Mediterranean, low-carb, and gluten-free dishes, as well as meals suitable for weight loss. The meals are often exotic, always gourmet, and sometimes quite luxurious. Home Bistro carefully chooses its suppliers, making sure that all the ingredients are fresh and natural and that all the meat used to make its meals is humanely raised, vegetarian fed, and free from antibiotics, hormones, and steroids commonly used to induce growth. With Home Bistro, the average calorie count is 700 calories per serving. The meals are generally high in protein and rich in superfoods. The portions are not small, but they may not be satisfying enough for individuals with a big appetite. With Home Bistro, you can order and reorder as many meals as you like whenever you like. If you opt for a subscription, you can modify or cancel it anytime, just make sure to notify the company in advance. Home Bistro has a strict no refund policy. Got a new baby gift for my best friend, she absolutely loved it, will be ordering again for sure. Excellent quality, delivered on time, the prices are fine. Still, considering that they have so many meals on offer, they could really add more diabetic meals to the menu and let you buy them individually, not in packs. In theory, you could buy a single meal, but you actually have to order at least 7 meals at once if you are a diabetic, since they only come in 7-meal packs. It's not like I would order just 1, but I hate being forced to buy exactly 7, 14 or whatever. Poor quality meals - meat like rubber, broccoli no flavor and mushy, rice stuck in a blob like glue. All meals flavorless- poor customer service. They clearly do not want feedback on poor quality- don’t waste your money- you would be better off with take out fast food. And by the way I am a healthcare provider that generally councils patients against fast food. The available cookbooks use simple ingredients I've actually heard about but the meal choices are always elegant and delicious, so I can even prepare them for my friends without feeling like I'm serving them scrambled eggs. Excellent meal delivery for people who try to steer clear of meat as much as possible but still enjoy a good steak from time to time. I'm no cooking wizard by any stretch of the imagination, so the professional service tips I got with every delivery were more than welcome. Home Bistro allows you to enjoy restaurant-grade delicacies in the comfort of your own home. The highly skilled kitchen team is led by a Certified Executive Chef and the ingredients are handpicked to ensure the highest standards of taste and nutrition. Read more about this company and its meal delivery service in our dedicated Home Bistro review.